In this modern age, phones are not the only way to communicate with people from a distance. Your iPad will allow you to connect with your friends and family in a variety of different ways. 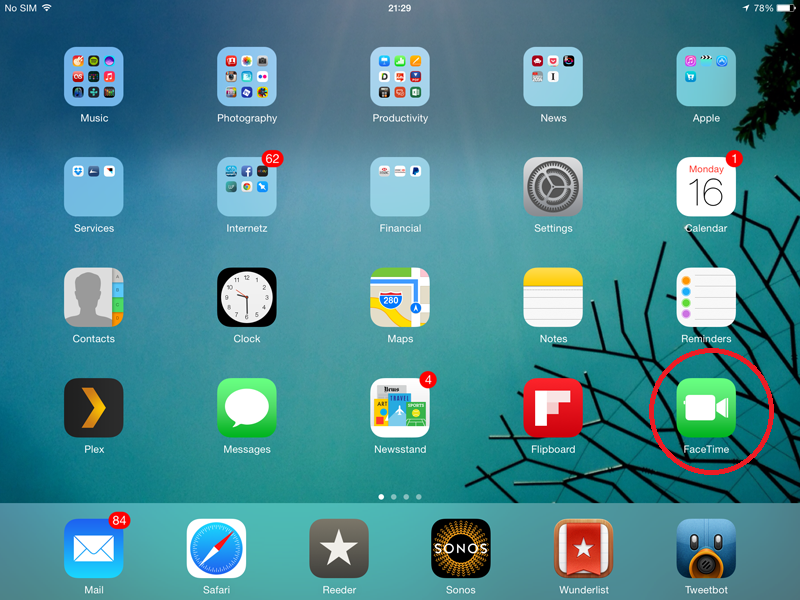 In this post we’re going to look at the video messaging and email features of the iPad. If you’ve not used FaceTime before, you’ll need to switch it on. Tap on “Settings”, then “FaceTime” and put the switch in the on position. You’re now ready to start using FaceTime. Ensure that your WiFi is on, before you make a call. Tap on the FaceTime app again. Once you have contacts saved on your iPad, you’ll simply be able to tap on the contact to call them, but until then, put the name of the person you’d like to contact in the search bar in order to find them. Tap on the name, once you find it, to make the call. When your call is picked up, the word “Connecting” will appear on your screen. 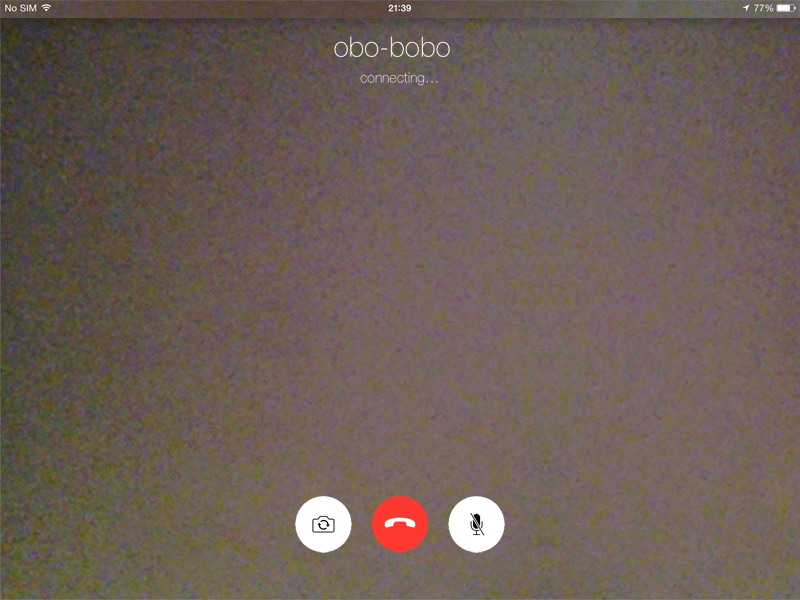 You will see your face in the small box and the person you’re calling’s face in the rest of the screen. Make sure you’re holding the iPad so that your iPad’s camera can see your face. To end the call, press the red circle. If you don’t want the caller to see you, press the home button. You’ll still be able to hear and speak to them, but the video function will be disabled. If you find it easier to speak your commands, rather than use your hands, you can use Siri. Siri is the voice-control system on your iPad. To get started press down and hold on the home button of your iPad. Once you’ve done this, say “FaceTime” followed by the name of the contact you’d like to call. Your iPad will ask you whether you’d like to make a video or an audio call. Speak your reply out loud and you will then be connected. 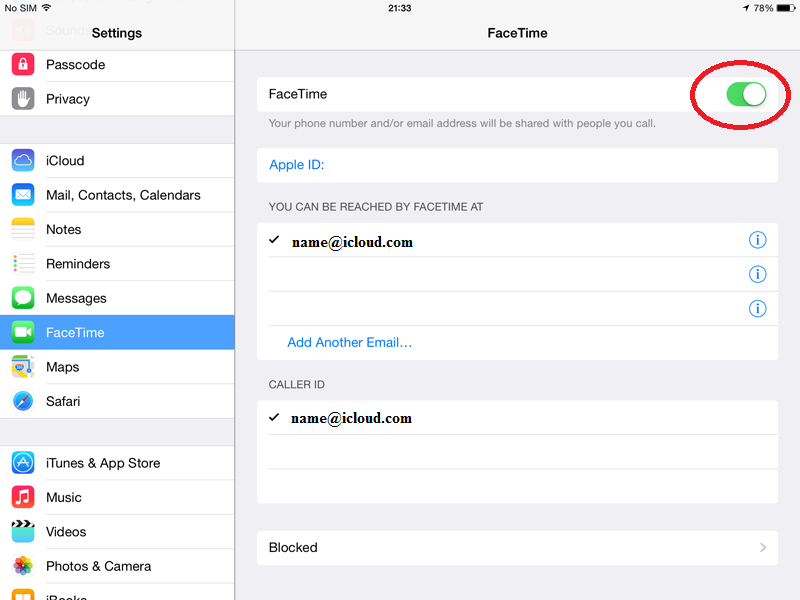 Please bear in mind that FaceTime call can only be made to other people with an Apple device. If you want to make a video call to somebody with a different sort of phone or computer, you’ll need to go to the App store and download the Skype app. Skype will allow you to video chat for free with anybody else, regardless of which devices they own. Where prompted, type in your name, email address and password. Now when you open the Mail app, you will see that your account and all your emails have been added. The mail icon will often have a badge next to it containing a number. This number indicates how many unread emails you have since you last opened it. 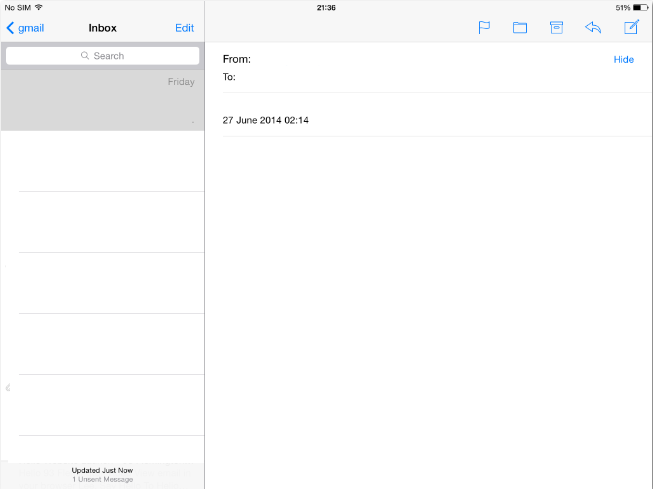 Tap on the Mail app to see your emails. Tap on “Inbox” to see your emails and tap on individual emails to read them. If an email contains attachments, it will have a paperclip icon next to the sender’s name. Tap on the attachment to open it. To write an email, tap on the compose button (far right of the top header) and then on the blue + button in order to select a contact to whom you want to send the email. If your intended recipient is not a contact, type in the email address where it says “To”. When you want to delete an email, tap on the junk (middle) icon in the top right of the screen. To reply to an email you have just read, tap on the reply (arrow) icon in the top right. Write your reply and then press “Send”. Be aware that you will be given the option to reply to either all of the recipients of an email, or just a single one. If you press reply all, it will be sent to everybody originally included in the email. Firstly you’ll need to compose a new message. In the body of the message, press and hold your finger down until the magnifying glass appears, then release. You will see a popup appear with a few options. Tap “Insert Photo or Video” and you will be presented with a new window containing all your photos. Select the one you would like to use, and tap on it. Finally tap “Send”. These are the basics of how to use your iPad to communicate. If you enjoy sending photographs to others, and you’d like to find out more about taking photographs on the iPad, please have a look at our post on taking photos.